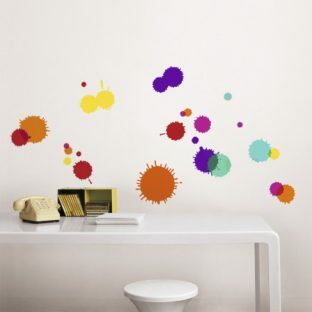 Wall Decals are a fun, simple and affordable way to spice up any wall or window. They cut out the stress of hiring a painter and going through hundreds of paint swatches. The best part is that you can Do-It-Yourself (D.I.Y), since they are easy to apply and take off. Whether you fancy inspirational words, nature, cartoon, music or just plain patterned stickers, there is a wide variety out there for you to pick from. Here are a couple of fun selections that are sure to start up a conversation. Fun Ink Spot Decals are perfect for an office wall. They can bring some color and personality into any neutral/plain space without being childish. A big, bold and cute teddy bear sticker can replace wall hangings and will not only fill up the space but can also make a child’s room more fun. 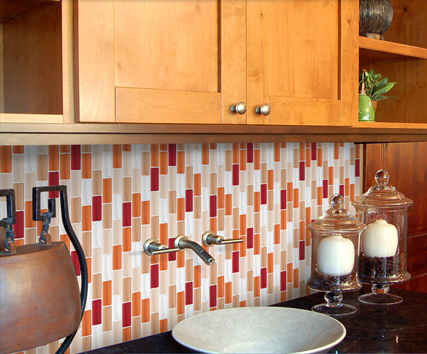 Mosaic Decals are an interesting new idea for back-splashes and bathroom walls. Your Design Angels at BlackMark Design.